You’ll feel right at home at Old Mates Place, the newest rooftop bar to arrive to the CBD. Low key in name, the newly opened Old Mates Place is anything but ordinary. Marking the latest rooftop bar to arrive to Sydney, this one is smack bang in the heart of the city, snapping up prized real estate. What was once a run-down office building has been transformed into a two level bar, the lower level evoking a traditional library feel. 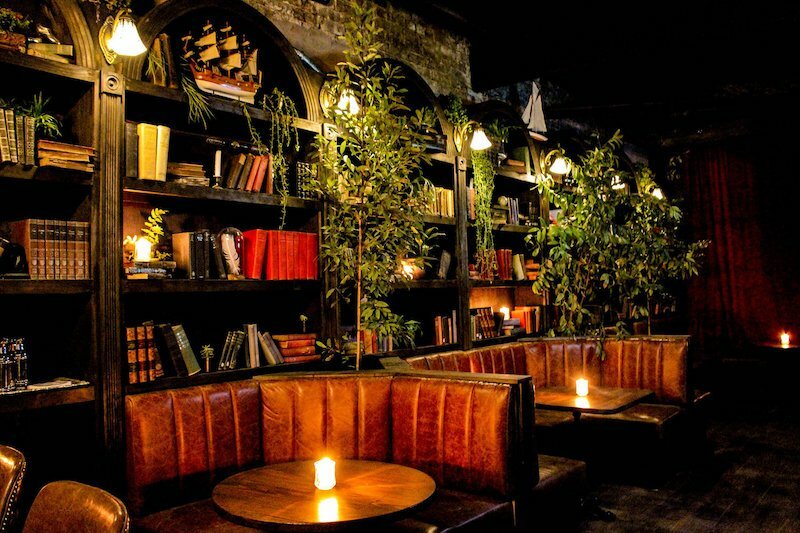 Think book shelves laden with a range of eclectic novels, cosy leather booths and a peppering of candle lights to make you feel right at home. As for the all important rooftop, the 40 person space is enticingly light and breezy, decked out with plenty of vibrant plants. At the helm of this newest opening is Andres Walters (The Lobo Plantation, Kittyhawk) and his partner Gabrielle Walters (Black by Ezard). They’ve teamed up with friend Daniel Noble (Ramblin’ Rascal Tavern, Mojo Record Bar) to open the perfect post-work hangout, especially in the wake of the warmer months. The opening of Old Mates certainly didn’t come without its challenges however, the trio trawling Sydney’s suburbs to find the perfect venue to call their own. As for the drinks list, Old Mates doesn’t honour any one tipple specifically. You’ll find everything from gin to vodka, rum and more on the menu. What you will notice though are the bar staff slinging a variety of creative cocktails weekly. While the bar menu is placed front and centre, the food offering at Old Mates certainly doesn’t come as an afterthought. A rotating menu including Philly cheesesteaks, plus other appetite whetting bar snacks will leave the pass, proving to be the perfect accompaniment to a post-work tipple. Old Mates Place is open Tuesday–Saturday, 5pm–2am, and Sunday, 2pm–2am.